Showing recent results 2746 - 2760 of 4364 products found. Clamp Meter, Auto, Average, 1 kA AC, 600 V AC, 600 V DC, 46 mm Jaw Opening Max. 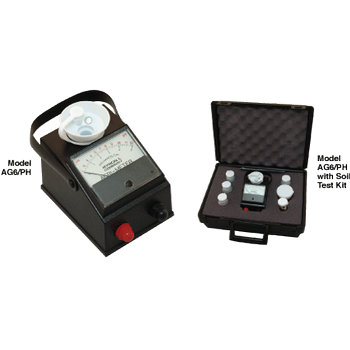 A clamp-on type test meter with AC/DC voltage and AC current measurement. Clamp Meter, Auto, True RMS, 1 kA AC, 600 V AC, 600 V DC, 55 mm Jaw Opening Max. Perfect for applications where higher accuracy is critical. This compact clamp meter measures AC/DC voltage, AC/DC current, resistance and frequency. Clamp Meter, Auto, Mean Value, 600 A AC, 600 V AC, 600 V DC, 28 mm Jaw Opening Max. The 72-7218 is a Compact Digital Clamp Meter measures AC/DC voltage, AC current and resistance. Clamp Meter, Auto, True RMS, 600 A AC, 600 V AC, 600 V DC, 28 mm Jaw Opening Max. Perfect for general purpose applications, this compact clamp meter measures AC/DC voltage, AC/DC current, resistance, frequency and duty cycle. 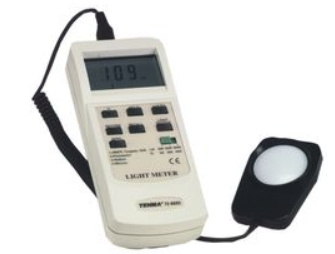 The 72-7250 CAL DU from Tenma is a digital light meter with RS232 capability. It has custom one-chip microprocessor LSI circuit which ensures high accuracy. The meter features 13mm (0.5”) super large LCD display with contrast adjustment for best viewing angle, data hold and auto power off. It records maximum, minimum and average readings with RECALL facility. The 72-7250 has RS-232 PC serial interface, user selectable lighting type (tungsten, fluorescent, sodium or mercury, daylight) and zero adjustment by push button. The meter operates from 9V battery. Clamp Meter, Auto, True RMS, 400 A AC, 600 V AC, 600 V DC, 28 mm Jaw Opening Max. 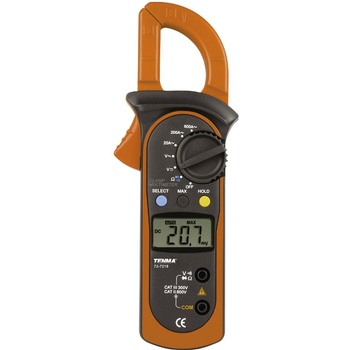 The 72-7226 CAL D from Tenma is a digital clamp meter. This stable, safe and reliable digital clamp multimeter is designed with large scale integrated circuits and A/D converter as the core as well as overload protection and novel structure which make them a superb tool for electricians. It measures AC/DC voltage, AC/DC current, frequency, duty cycle, resistance, diodes and continuity and also includes data hold, sleep mode and relative mode features. 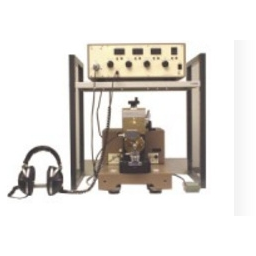 The resistance measurement range from 400 ohm/4kohm/40Kohm/400Kohm/4Mohm/40Mohm (±(1%+2)), frequency measurement range from 10Hz to 10MHz (±(0.1%+3) accuracy). It is 3 3/4 digit digital clamp meter with precise operation, fashionable structure and highly reliable measuring instrument. The meter uses large scale of integrated circuit with double integrated A/D converter as its core and has full range overload protection. It complies with IEC61010, pollution degree 2, overvoltage category (CAT II 600V, CAT III 300V) and double insulation. 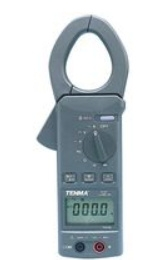 The 72-7226 CAL from Tenma is a digital clamp meter. 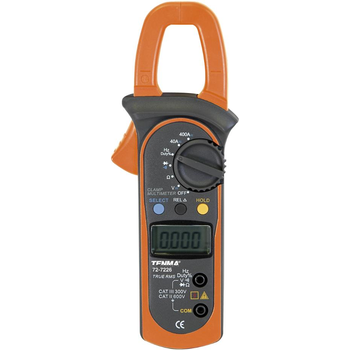 This stable, safe and reliable digital clamp multimeter is designed with large scale integrated circuits and A/D converter as the core as well as overload protection and novel structure which make them a superb tool for electricians. It measures AC/DC voltage, AC/DC current, frequency, duty cycle, resistance, diodes and continuity and also includes data hold, sleep mode and relative mode features. The resistance measurement range from 400 ohm/4kohm/40Kohm/400Kohm/4Mohm/40Mohm (±(1%+2)), frequency measurement range from 10Hz to 10MHz (±(0.1%+3) accuracy). It is 3 3/4 digit digital clamp meter with precise operation, fashionable structure and highly reliable measuring instrument. The meter uses large scale of integrated circuit with double integrated A/D converter as its core and has full range overload protection. It complies with IEC61010, pollution degree 2, overvoltage category (CAT II 600V, CAT III 300V) and double insulation. 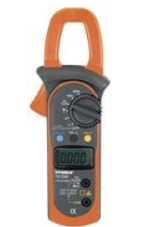 The 72-7226 CAL DU from Tenma is a digital clamp meter. 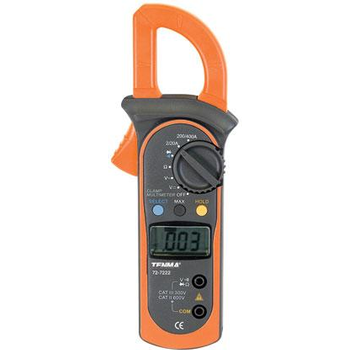 This stable, safe and reliable digital clamp multimeter is designed with large scale integrated circuits and A/D converter as the core as well as overload protection and novel structure which make them a superb tool for electricians. It measures AC/DC voltage, AC/DC current, frequency, duty cycle, resistance, diodes and continuity and also includes data hold, sleep mode and relative mode features. The resistance measurement range from 400 ohm/4kohm/40Kohm/400Kohm/4Mohm/40Mohm (±(1%+2)), frequency measurement range from 10Hz to 10MHz (±(0.1%+3) accuracy). It is 3 3/4 digit digital clamp meter with precise operation, fashionable structure and highly reliable measuring instrument. The meter uses large scale of integrated circuit with double integrated A/D converter as its core and has full range overload protection. It complies with IEC61010, pollution degree 2, overvoltage category (CAT II 600V, CAT III 300V) and double insulation. Clamp Meter, True RMS, 100 A AC, 600 V AC, 600 V DC, 17 mm Jaw Opening Max. 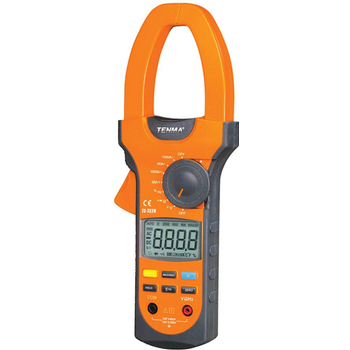 The 72-2985 from Tenma is a mini clamp meter in orange and grey colour. It features high reliability, safety precision and compact design. Its resolution ratio is 1mA, maximum range has maximum range of 100A AC/DC, particular VFC start mode. Entering this mode can accurately measure voltage and current which has VFC frequency conversion. Voltage or current response display is true valid value. 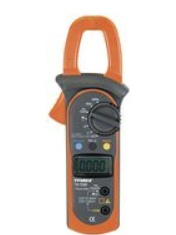 This model is a 2,000 count stable, safe and reliable digital clamp multimeter. It is designed with large-scale integrated circuits and A/D converter as the core as well as the overload protection and novel structure, which make them a superb tool of electricians. Clamp Meter, Auto, Average, 400 A AC, 600 V AC, 600 V DC, 28 mm Jaw Opening Max. 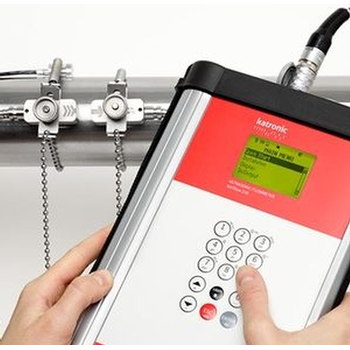 Three of the Katronic clamp-on ultrasonic flowmeters can be supplied as heat quantity measurement instruments and are increasingly being used as portable and permanently installed energy meters by various industries and municipal organisations. 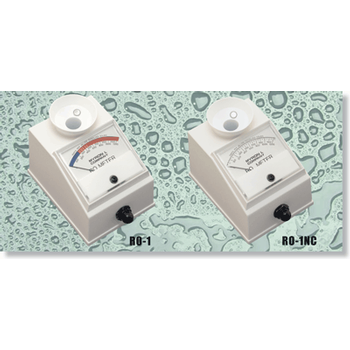 The clamp-on mounting technique of the flow and temperature sensors enables the flowmeters to measure heat quantity non-invasively without the risk of interruption of flow, pressure drop or leakage. Anderon Meters - M.E.A. Testing Systems Ltd.
*Measures the anderon value in an assembled bearing. *Detects slight surface irregularities arising from machining imperfections and other factors. *Detects displacement in a radial direction caused by rolling surface irregularities. *Provides the “anderon” value, a numerical expression of the degree of vibration and noise in the bearing, allows quantitative assessment of bearing performance. *Enables the discovery of the causes of vibrations (scratches on the raceways of outer and inner races made during machining, scratches on ball surfaces, contamination by dust particles, etc.). *Enables the sorting of bearings by precision class and more accurate assessment of bearing quality. *Development of high-quality products: aids in the development of high-quality, durable bearings that generate minimal vibration and noise. *Assurance of product quality: allows data to be gathered that can be used for objective assessment of quality, particularly vibration and noise characteristics. *Optimal management of products by quality: High-sensitivity detection of minute but critical variations in product characteristics, allowing to sort bearings accurately by quality for optimal product management. *Improved productivity: allows inspection of bearings before installation in high-precision, high-performance products susceptible to vibration, minimizing defects in assembled products and improving productivity. *Optimal parts control in the open market environment: permits high-accuracy acceptance inspections of delivered parts, allowing to test various samples obtained from both domestic and overseas manufacturers to help secure parts that offer optimal quality.